It’s about time that you work at a place that actually rewards employee growth. 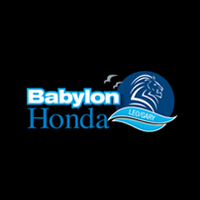 At Babylon Honda, we understand how important our employees are to the way that we run our business. We are always looking for fresh talent to add to our wonderful team. If you think you have what it takes to handle complicated and delicate customer situations with tact and grace, then you may just be perfect for us. We are looking for people who will always have the motivation and the dedication that is necessary for the job. We have a great working environment where you will have access to wonderful benefits. If this all sounds interesting to you, then simply fill out the application below. We will be more than happy to look over your skills and qualifications to see if you would be the perfect fit for us. You might be hearing from us soon.